What's New in this Lightroom Release > Lightroom Classic Updates > What’s New in Lightroom 4.0 Beta? Adobe have just announced the release of Adobe Lightroom 4.0 Public Beta! The Lightroom team have been busy – very busy – so it’s a looooooong list. If you don’t have time to read it all right now, the highlights are marked in red. The minimum system specs have been updated for Lightroom 4. This allows testing efforts to be more focused, hopefully resulting in less bugs! Collapse Tether toolbar down to the shutter button by Alt (Windows) or Opt (Mac) clicking the close button. They won’t show up in the Devices section at the top of the Import dialog, but if you navigate to the card in the normal Files/Folders section of the Import dialog, it’ll work. In the Import dialog, whenever the “Into Subfolder” option is checked show “Enter name” as the placeholder text of the edit box so people don’t miss it. Prior versions would not allow you to select & drag to move more than one folder at a time in the Folders panel on Windows. You had to do it one folder at a time. That works properly now. Picks/Rejects have surfaced in the photography industry as a primary method of refining image sets. Localized flags confused most people, and future compatibility with other applications isn’t possible when they’re localized. There will be a means of upgrading local flags in the final release, when the time comes to upgrade your catalogs. In the Metadata Preset Editor, if you check a text field but leave it blank, its caption turns red and its placeholder text becomes: “Type to add, leave blank to clear”. This should help prevent the accidental creation of a template that deletes existing metadata. These changes need their own own blog post, so we’ll just cover a quick summary of sliders here. The short version is ‘forget everything you know and treat it like a new raw processor’ – because it is. It’s now used to set the overall image brightness (midtones), rather than the highlight clipping, and behaves more like in-camera exposure. It is simple (linear) scaling for most of the range, except for the highlights where it now rolls off more smoothly (instead of hard clipping, which is harsh and leads to color shifts). Modeled on film behavior which rolls off the whites, whereas digital just clips hard. Once the exposure slider is set for the mid tones, highlights can be used to recover missing highlight detail. On all of the new sliders, moving to the left darkens, moving to the right lightens. Work from the top down, rather than skipping around, more now than ever before. It works better! For PV2012, Clarity is integrated with the new adaptive tone mapping, so it can take advantage of the edge-preserving characteristics of the tone maps algorithm. This helps to avoid halos, but looks quite different. You’ll need lower values than you’re used to using. A bug with exposure has been fixed for PV2012 – previously, adding any local adjustment (brush or gradient) involving Exposure could lead to sudden shifts in highlight color rendering. Tone Curve & Contrast have changed to 0/linear defaults so presets will be behave similarly regardless of file type. There’s a difference between the default rendering of 2010 vs. 2012 too. Soft proofing is an on-screen preview of a printed or other output of a photo, used by the user to make image corrections to improve the output appearance. When you make an image a proof, it remembers which soft proof profile you used. If you create a VC, it sets the Copy Name as the current profile, and changes it if you change the profile. In the Crop tool, increased the maximum value allowed to be entered in the custom aspect ratio dialog from 999.99 to 9999.99 so the user can enter in a screen resolution to get its ratio. The 5×5 area used by the eyedropper is now linked to 5×5 pixels on the monitor, not 5×5 pixels of image, matching the ACR behavior. This means that you can zoom out on a noisy photo to sample for white balance over a wider area. Reordered the “Lens Correction” section of Develop preset dialog to match the panel order: Lens Profile Corrections, Transform, Lens Vignetting, Chromatic Aberration. Any photos that already have location data will automatically show on the map. You can add locations by dragging/dropping photos from the Filmstrip directly onto the map. If you do use a dedicated GPS device, or a smartphone app, Lightroom can use your track log. Lightroom understands GPX format tracklogs. LR doesn’t handle getting the GPX tracklog off the device. If your device doesn’t make GPX, you can use GPS Babel to convert them to GPX. You can manually adjust for the camera time not matching the tracklog time just by dragging and dropping photos. GPX logs by definition are time stamped in UTC whereas the photos are stamped in local time. Lightroom helps you to apply an offset. Saved Locations are like a location preset. You can filter to find photos at that saved location using Metadata filters. Marking specific saved locations as Private allows you to always remove the location information from those exported photos (useful for your home address) without removing the location data from all of your exports. Markers show where you’ve taken photos, and when you click on a marker, it shows the photos taken there. Google’s terms of service don’t allow Adobe to cache that information. There will be a limited lifespan for the Maps access itself, as Adobe is paying Google for the service. Maps in LR4 will work for 5 years from release. That doesn’t mean Lightroom’s Map module will only work for 5 years – the clock will be reset for LR5 and future upgrades, so this would only be an issue if you use software that’s 5 years old without upgrading. The rest of Lightroom would still work as normal at that point too. Location metadata can be written to the files when you write to XMP, but there are options to strip it, either for everything or just for Saved Locations marked as private. In Lightroom 3 and earlier, any collection also automatically stored output module settings, so a standard collection could also remember slideshow, print and web settings. In Lightroom 4, that’s changed. Normal collections no longer store output module settings. Instead, you save individual books, slideshows, prints and web galleries, and they can’t contain settings from other modules. When you first enter an output module, you’re viewing ‘unsaved book,’ ‘unsaved slideshow,’ ‘unsaved print,’ or ‘unsaved web gallery,’ depending on the module. That’s like a scratchpad, where you can play around with things without saving them. When you want to keep something you’ve created, you save it as a book/slideshow/print/web gallery. These show up as separate items in the Collections panel, each with their own icon to identify the module. The new Book module allows you to design photo books without ever leaving the Lightroom interface, and then upload directly to Blurb for printing, or export to PDF for sharing. Filler Text either says “Photo Title” or some Latin filler text, and show where the text cells will go. It disappears the moment you click in a cell, never to reappear. All of the Guides can be turned on and off in the Guides panel. Text Targeted Adjustment Tool offers an easy way of visually adjusting the text without having to understand or remember the names of the sliders. Holding down Alt (Windows) / Opt (Mac) temporarily deactivates the TAT so you can change your text selection – that only applies if you’re trying to change a selection in an area that’s already selected. When you’re finished, hitting escape exits the TAT tool. Your saved book autosaves as you go along, so no need to worry about saving it once you’ve named it. It’s not intended to be a replacement for proper color management, but not everyone wants to get in that deep, and even those who do can still have problems with slight mismatches. Lightroom isn’t usually the cause, but it’s the easiest place to fix it. These aren’t intended to be image-specific settings. The point is that ALL the prints are mismatched in a systematic way relative to the screen (e.g., ALL too dark, or ALL too bright), not all over the map. Multi-core reading of tiled DNG’s was actually added in 3.6 but it didn’t get much fanfare. A tiled DNG is the same data, but arranged in strips instead of one long string. It means that different threads or processors can all be working on reading and decompressing the file at the same time, resulting in the file loading faster. ACR and Lightroom have been created tiled DNG files for a long time so you don’t need to do anything special to access the new multi-core reading. If you have a camera that shoots DNG natively, you can update those to tiled DNG files to take advantage of the new performance improvements, just by converting them either using Library menu > Convert to DNG or using the standalone DNG converter. There’s now a preference to embed Fast Load Data into DNG files. It allows compatible programs such as Lightroom 4 to show you a preview much more quickly than a proprietary raw file or a DNG file without Fast Load data. It’s fully backwards compatible, so it won’t break other programs. To update existing DNG files, change it in Preferences and then select all in Grid view and go to Metadata menu > Update DNG Previews & Metadata. The new Lossy DNG is an extension of the linear DNG – it’s demosaiced and JPEG compression is applied – so it’s not the traditional DNG we’ve all been used to. The full resolution lossy DNG files are considerably smaller than their lossless counterpart – a 24mb lossless becomes a 6mb lossy, with surprisingly minimal loss of quality and the full flexibility of raw. You can also reduce the resolution resulting in an even smaller DNG file – much like sRAW formats, except it works better. As the name suggests, it’s a lossy process, so don’t go switching all of your originals without thinking. Beware, Lossy DNG’s are NOT backwards compatible. Lightroom 3.6 and ACR 6.6 understand them but most other programs don’t yet. You have full control over how much quality you’re willing to give up in return for the smaller file sizes. You could keep full resolution lossless DNG files on your main computer or in backups, and work with smaller versions on your laptop or in the cloud. The format has been designed to make their settings interchangeable, so you can make Develop adjustments to a small lossy DNG copy and then apply those same settings to the full resolution originals when returning to the office. If you only usually keep your favorite photos in their raw format and convert the rest to JPEGs, now you can use lossy raw for the latter group, retaining their editable state. The file sizes are comparable. Unlike sRAW, you’d make the decision later in your workflow, so you can keep your best photos as full resolution, and downsize the others if you wish. The lossy compression in Lossy DNG is much more efficient than sRAW, so a full resolution lossy DNG file is usually smaller than the low resolution sRAW file. There isn’t currently a compatible version of ACR available for Edit in Photoshop compatibility. CS5 will understand PV2003 and PV2010 fairly well, but will ignore PV2012 settings. This is a beta version, not a release candidate, so there are bugs yet to be squashed. It’s not expected to corrupt your photos or kill your computer, but it’s a beta so nothing is guaranteed. Just be sensible! Take precautions, ideally using duplicate photos with the beta. If you’re going to use your originals, make sure you have offline write-once backups just in case. Great summary, as always. Thanks Victoria! Thanks for the great overview on LR4! Just bought LR3, hopefully there will be a well priced upgrade available. great start…. but needs more features for GPS… look at GEOSETTER. for example information of the viewing direction. GEOSETTER still rules so much and it is FREE.. come on adobe you can do better!!! How are you importing 32 bit image files? I’ve tried Import and folder sync. 32 bit files aren’t recognised and won’t catalogue. Adobe doesn’t list 32 bit files as compatible in the supported file formats – http://clkuk.tradedoubler.com/click?p(265883)a(2791170)g(22913796)url(http://blogs.adobe.com/lightroomjournal/). Thanks Robert. I obviously lost track of last minute changes! It’s unfortunate. Lack of support for at least cataloging 32 bit images is disappointing. Thanks a lot Victoria, this is by far the most comprehensive list of new features for LR4. Can’t wait to give it a try! Wow, this is really a great summary! many thx. Thanks for the great comments guys! It took about 4 days to put this list together, so I’m glad you’re finding it useful! Are they serious about not supporting Window XP?? Yes, it’s 10 years old, but a recent survey showed it still has the largest install base of all versions of windows! Yes they’re serious. Many of the XP installs are on corporate machines (therefore not used for LR) and older machines with low specs, so the number of Lightroom users it affects is not as high as it sounds. I know that’s no consolation for XP users though! They’ve used OS features that simply aren’t available in XP, and supporting an OS takes a lot of time and money which can be better spent serving the majority of LR’s userbase who are running more modern OS’s. Sorry it’s bad news. It’s not a bug, so they’re unlikely to fix it, sorry. Can you post on the beta forum (i.e. in front of Adobe’s eyes…) so we can discuss how it’s disrupting your workflow. I’m interested to know – and also find some alternatives for you if we can. Does anyone know where we might be able to get a list of the cameras Lightroom 4 will recognize and import directly from? 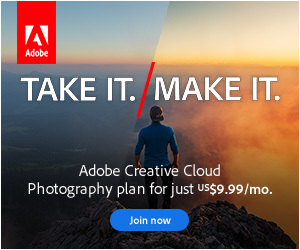 All of the currently supported cameras are listed here: http://clkuk.tradedoubler.com/click?p(265883)a(2791170)g(22913796)url(https://helpx.adobe.com/photoshop/kb/camera-raw-plug-supported-cameras.html) but we don’t know for sure what may be added in the final release. but was it really necessary for you to add an insult trying to justify it ? This decides it for me. Sorry Marcus, most of the XP users I’ve spoken to wanted to know why and whether it’ll be back in the final release. I’m sorry if you’re offended by that. I hope DXO works out well for you. The image quality is great, although I’ve always found a workflow a little slow. It may suit you though. WOW ….. This post is a terrific resource. I hope you will update/edit it when the fial release ships. Your “Handle” LR Queen is well deserved. Thanks again for another fab resource. Thanks Ernie, yes, there will be an update with the final release. “The Lightroom Queen” came from the forums and it rather stuck. I’m glad you like it! This is all great, especially soft proofing. What I want is the option to be able to view ALL my images in a particular colorspace. I shoot corporate work. My clients need images corrected for online use (sRGB) and a commercial printer who uses sRGB as the printing profile. I want the images in the develop module window to look exactly the same as the sRGB jpegs I output. I can always choose to set it to ProPhoto or Adobe RGB or Lightroom if need be. For many of us this would cover 90% or more of our workflow. Think wedding, event, corporate…. Then you’ll be pleased to know the new softproofing will let you do just that! Set it to sRGB and leave it turned on and you should be all set. Messing around with the map module. I move the marker of a location somewhere else and it created a new market with the same “location” which is totally irrelevant to the actual location. How can I delete the new yellow marker?? Run that past me again? Is this a single marker or a group? You may have hit a bug – does the spare marker disappear when you restart? I don’t see what is wrong about not Adobe not wishing to keep on supporting XP! Having to support out-of-date software is very expensive, makes testing more difficult, and acts as a brake to innovation. I suggest that most users do not wish the functionalities offered by the software they use to be limited by compatibility considerations concerning software that is more than 10 years old. You guys really rock and just made you made LR4 the best in the market.